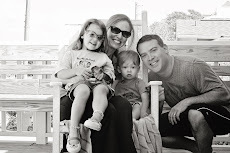 We had lots of fun at our house this week!! 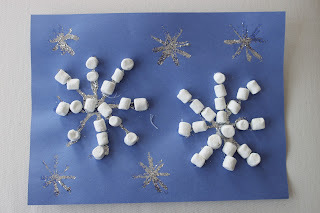 We did a couple more winter crafts, as well as some "letter A" crafts to go with our alphabet learning activities. Sweet Girl loved using salt to make the "snow" on the ice skating rink!! We read Five Little Penguins Slipping on the Ice to go along with this craft and talked about how water freezes, becomes ice and is slippery. I've seen this craft on a number different sites. All you need is some white paint, two different sized cups and some snowmen accessories (we used buttons, googly eyes, pipe cleaners and a piece of black foam). 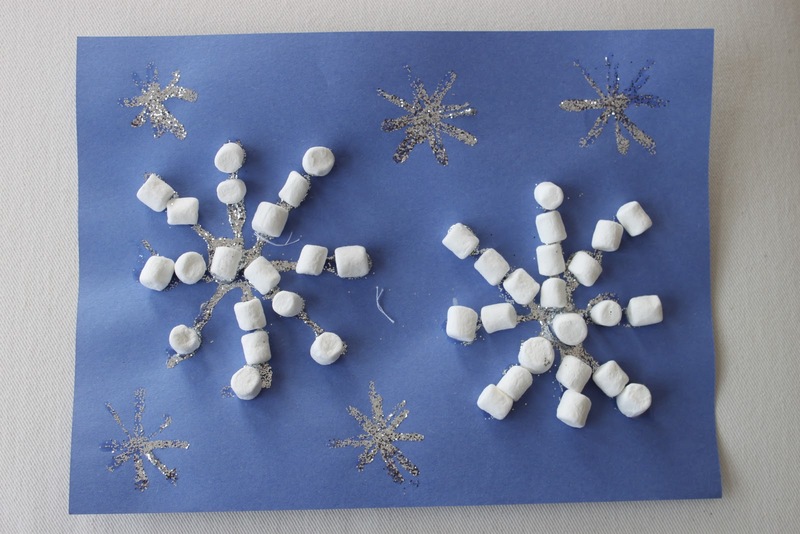 We read Winter White, Welcome Winter, and The Snowy Day many times this week to go along with our winter crafts. I think this was her absolute favorite!! I had to convince her to 'put one on and THEN eat one'....otherwise we wouldn't have had any marshmellows!!! This is from No Time for Flashcards. It was really easy to make and Sweet Girl loved stacking them. I highly recommend using sticky-back foam and sticky googly eyes rather than glue....Sweet Girl was ready to play with them as soon as we were done but had to wait a little while for the glue to dry. We used an apple sliced in half and red paint to make this cute little heart decoration. We stamped the apple on a piece of white paper and then I cut out hearts. It's been hanging on our kitchen window all week. This is also from No Time for Flashcards. We read The Lady with the Alligator Purse. aaw fab crafts! Love the skating rink especially! Such great crafts. My daughter and I did the marshmallow one today. 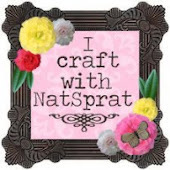 I posted a picture with a link back to yours at http://craftymomsshare.blogspot.com/2012/01/quick-craft.html. Thank you for sharing your ideas!! I'm your newest follower and I would love it if you would check out my Sharing Saturday and consider sharing something with us.